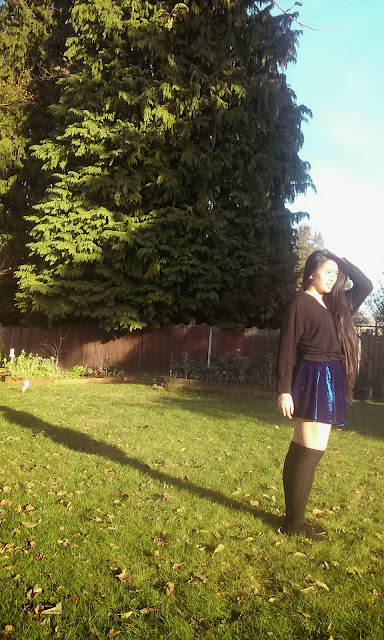 I have always loved the combo of royal blue and black and thought I could keep it simple with the outfit wihtout added accessories. 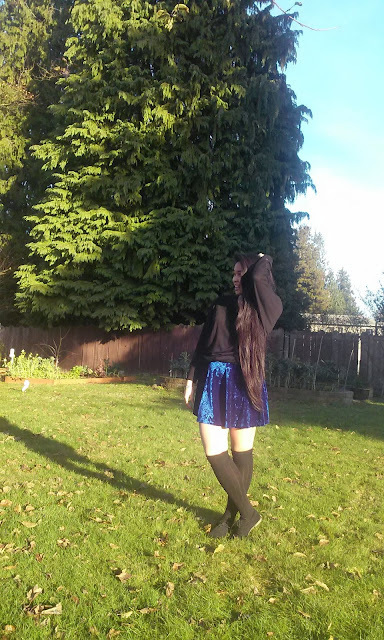 I wore this look with over the knee socks (which I am obsessing over right now) or you could wear them with tights (which I probably should have done since it was cold!) or both! 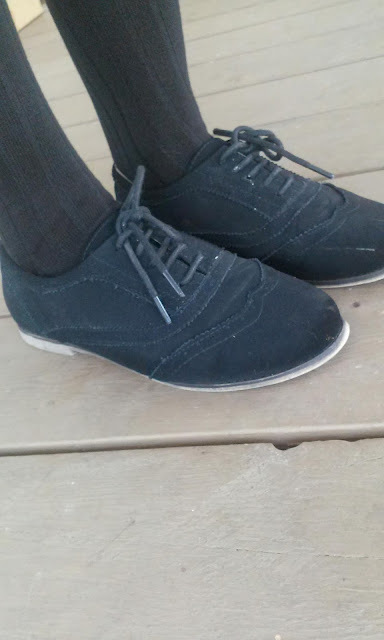 It gives the look a nice school girl vibe and the oxfords only add to that look. 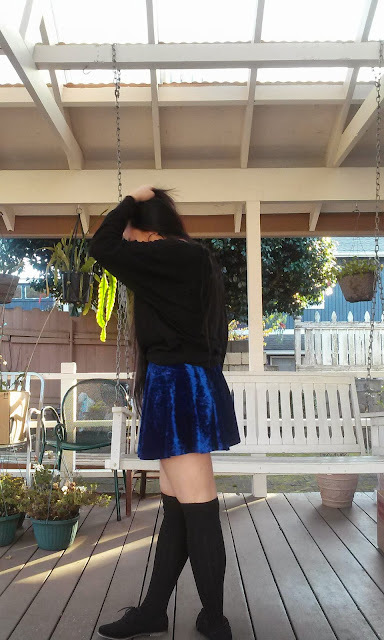 I took pictures in different lighting so you can see the complexity of the of the velveteen skirt. There is so much dimension to it and I love that in such a simple piece. 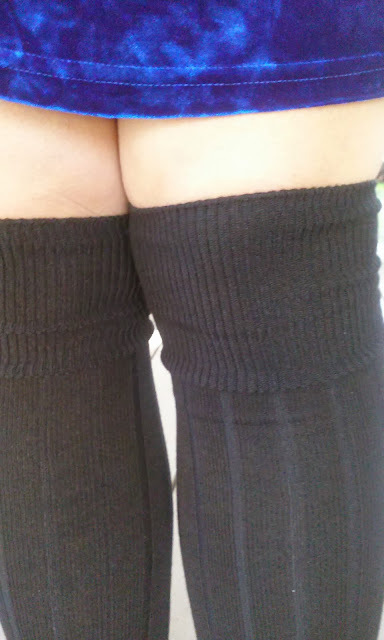 Also loving the slight details on the ribbed otk socks. thank you =P I will go and check out your blog right now! Wow that skirt! I am surprised they have something that wonderful at Forever21, must go check it out :D You look stunning girl! I was surprised too! 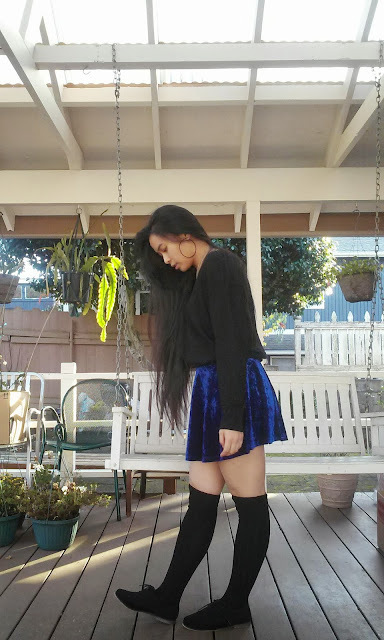 Every so often Forever 21 has some really great pieces and at affordable pricing. 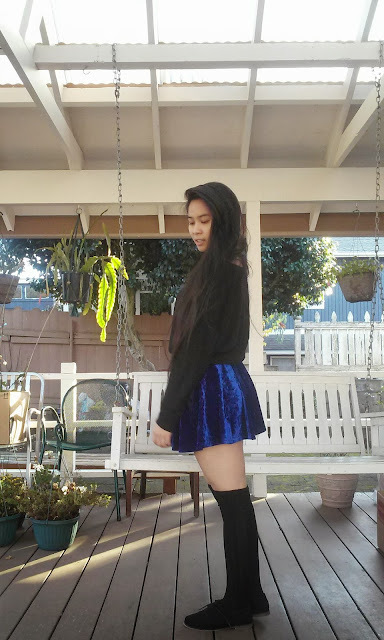 I want to go back to find more velvet pieces. And thank you, you're so sweet ! Beautiful skirt, the colour is stunning! I was pretty tempted to get the dress version, might have to go back to F21 now haha.